As a youth growing up in Vailsburg ,South Orange Avenue was always very special to me. The fact that it was an old winding Indian trail gave it a sort of mystique. I spent many years researching this section of Newark. I was always haunted by two mysteries. They were the "Big Blue Stone" and the "Old Stone House". The "Big Blue Stone" was located on the corner of Munn and South Orange Avenues. I read about it many times in the 1700 and 1800's. What was it? Where is it? No one will ever know. It just disappeared. 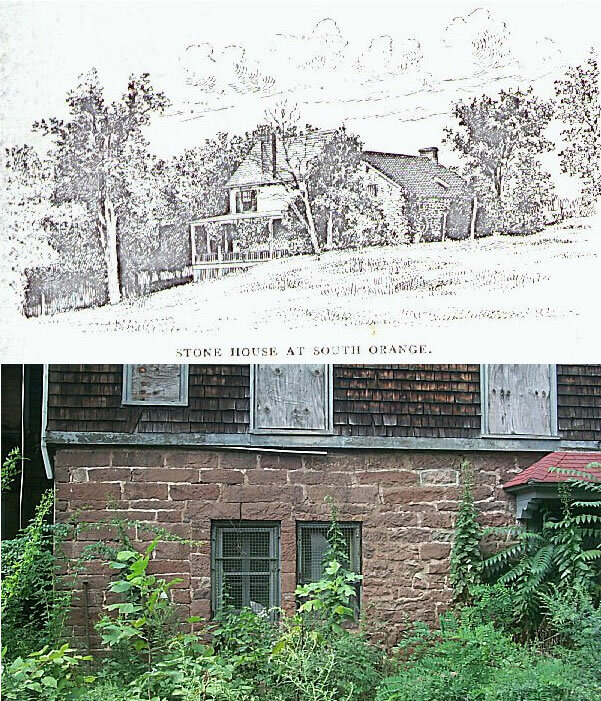 The "Old Stone House" was located on the corner of Grove Road and South Orange Avenue. It was referred to as the Old Stone House in 1680 A.D. When was it built? Who built it? No one will ever know. In 1867 William Brewer built a wooden addition to it and gave it the name "Aldworth". I have attached two pictures (above). One from the late 1800's with Brewer's wooden addition and one that I took last summer. If only those stone walls could talk what a story they could tell.